Heidi Baker (Iris Global): In this CBN interview, Dr. Baker shares the story of this Mozambique based ministry and introduces her book “Compelled By Love.” She tells how Jesus is showing himself through miracles and signs and wonders. 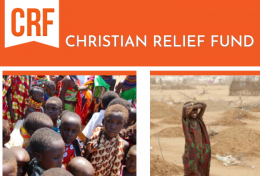 Iris Global is a Christian NGO (non-governmental organization) that is involved in international Christian missionary and humanitarian relief work. They exist to participate in bringing the Kingdom of God to earth in all its aspects, but most especially through their particular calling to serve the very poor: the destitute, the lost, the broken and the forgotten. Rolland and Heidi Baker began Iris Global (previously Iris Ministries) in 1980, and have been missionaries since then. They were both ordained as ministers in 1985 after completing their BA and MA degrees at Vanguard University in southern California. Rolland majored in Biblical Studies, and Heidi in Church Leadership. They received their PhDs in Systematic Theology at King’s College, University of London. In 1995 they came to Mozambique, Africa, where they have concentrated their ministry ever since. Their U.S. administrative offices are in Redding, California, USA, but the organization has expanded to Iris Canada, Iris UK, etc., as charities in many countries. Today, Iris has over 35 bases in about 20 nations led by teams of missionaries and local leaders. As more and more people want to associate with them spiritually and in every way possible, their Iris family is expanding country by country, a step at a time. Compelled by Love, the true story of the ministry of Heidi and Rolland Baker in the war-torn, poverty and disease-stricken country of Mozambique, chronicles twenty-seven years of ministry among the poorest people on earth. The book is based upon the beatitudes as seen through the eyes of third-world pastors and missionaries.